I was just trying to integrate Zend_Tool in my Zend Apps after watching a zencast by Jon Lebensold. The video was nicely executed by the famous Zend-Podcaster. The aim behind was to show how to integrate Zend_Tool into your Zend applications and how you can write your own extensions to Zend_Tool. I recommend you watch the screencast. 1) Download the source example code provided by Jon himself – I will refer to this code for the quick step below. You can find those files inside the bin folder of the original ZF source package you downloaded at Zend’s website. The result should be Hello! Voila! That’s it! Simple? Well, thanks and credits go to Jon Lebensold for his excellent screencast explanations. First you need to understand those two terminologies as applied to the Zend_Tool. An action is something that you want to perform on your zend application, while a provider takes on the role of the controller and basically provides some functionality. So, as you have guessed by now, the exection of the zf also expects some parameters. You would probably have seen a list of possible directives the Zend Tool provides on your screen. Jon Lebensold describes Zend_Tool as a new kind of component which acts as an alternate interface for your Zend framework application; the idea being that you can generate your views, models, controllers, etc through a command line script that will essentially scaffold your application. Ralph Schindler (a Zender) coined Zend_Tool as “a framework within a framework” in his Zend_Tool article at Zend Developer Zone. Now, how would I define Zend_Tool? I would say it is a tool which is aware of your project’s eco-system and which will help you to quickly generate the minimal skeleton and required resources essential for your project. To put another way, it is like installing a new linux distro (mandriva or ubuntu) with some pre-configured development tools. Now if you want a specific software to run on your pc, you need to use, extend and build upon those tools to make it. One thing which Jon was not able to properly do, is to autoload a new instance of ZC_Tool_VisitorProvider. 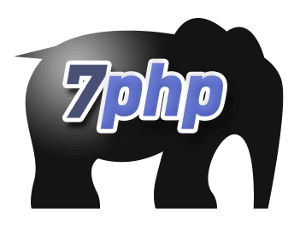 He made required_once call to include the ZC/Tool/VisitorProvider.php class file. A solution to this issue, is that you can register your new namespace inside your bootstrap class or any initialisation class.